At an early age we learn to fear cavities. Dentists are used by Mom’s the world over as a tacit threat of “or else” pain. Jerry Sinefield’s joke (from the “Seinfeld” Yada Yada Episode) resonates so well: “Do you know the difference between a Dentist and a Sadist? Newer magazines”. In pneumatics, we have our own cavities to deal with, only our cavities are in our rotary valves, not our mouths (usually…not that some of us don’t have a few extra holes in our head). 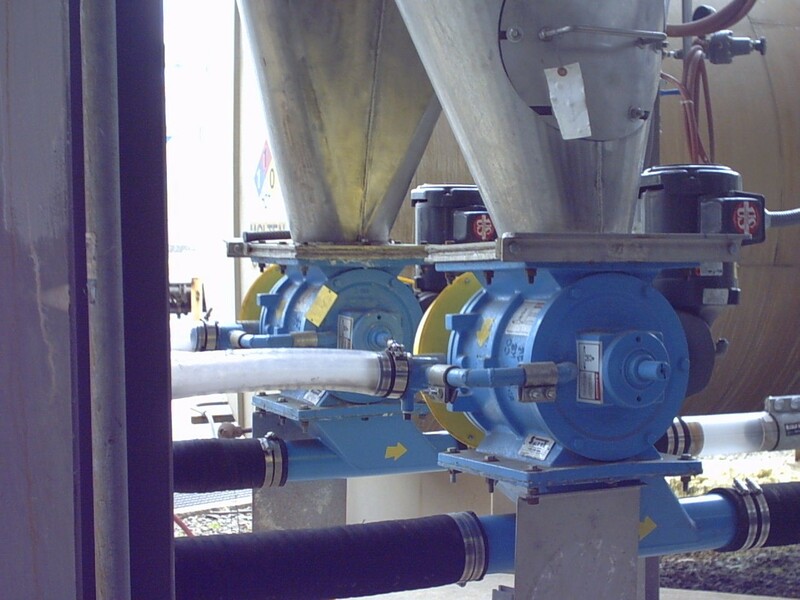 The biggest enemy of rotary valves is abrasive material on wear surfaces. Silicates and other abrasives can erode clearances that rotary valves need to keep tight in order to minimize air leakage when functioning as airlocks. To help fight this erosion, manufacturers often recommend that rotary valvesutilize closed end rotors. A closed end rotor has had a flat plate, usually referred to as a shroud, welded on its end, to protect the end plates, seals and bearings from excessive wear. In order for the valve to still spin freely; these shrouds must be machined with clearances just like the tips are to the housing. This clearance area between the shroud and the end plate is referred to as the cavity (see how we got back there? Just like Hannibal Smith, “I love it when a plan comes together”). For the valve to continue to rotate freely and maximize life this cavity needs to be kept clear, or “purged”. For this purge, most manufacturer’s use compressed air tapped into the end plates and regulated to slightly above the convey pressure, to blow out the cavity. This is fairly inexpensive and works well for moderately abrasive materials and on smaller valves, but has limits. For larger valves, the air consumption required to effectively purge the cavity can get significant and even then isn’t always sufficient. To help combat this, Smoot Co developed the “Low-Pressure Cavity Air Purge”. This method uses a small amount of the conveying air stream below, vented through an orifice plate to induce slightly greater pressure, to handle the purge instead. This method eliminates the need for high-pressure compressed air and the higher volume of air more effectively purges the area required on larger valves. Over the years, we have found this low pressure method reduces costs and prolongs the life of the valve. This basically is the equivalent of reducing your rotary valve’s trips to its “dentist” for redrilling. And with the exception of Rudolph’s friend Herbie the Elf, I think we would all prefer that. Hopefully that doesn’t make me an “Anti-Dentite” like Jerry. For more information on Cavity Air Purge Click Here.